ST. GEORGE – While Southern Utah has become a mountain biking mecca, it has lacked for a bicycle skills park where novice and experienced riders can go to hone their skills and just have some fun. That is about to change as the city of St. George moves forward with construction of a skills park in the wash across from Snow Canyon High School. 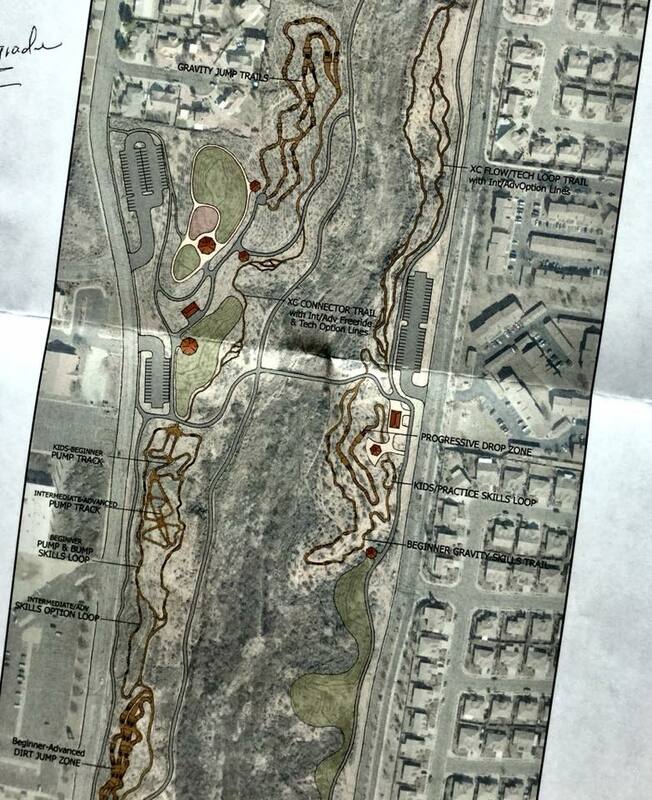 Set across 60 acres of the Sand Hollow Wash near the Sand Hollow Aquatic Center, St. George plans to develop its bicycle skills park with bike jumps, a singletrack trail, a flow trail, a skills area, a jump track, a gravity trail and more, said Jeff Peay, park planning manager for the city. “There will also be an additional series of trail connections that link up to our existing trail system,” Peay said. Other elements of the skills park will include parking and restroom facilities. City officials anticipate construction of the park to start in January and be completed by spring 2018. A part of the park’s purpose is to help novice riders hone their skills before going out on the more rugged trails around St. George and Washington County overall. “It’s good for people to learn the kind of skills they need to be on the real trail networks,” said Kevin Christopherson, president of the Dixie Mountain Bike Trails Association. Many of the trails around St. George are pretty rugged, so having a park that will help beginners is great, he said. Groups that will likely benefit from the incoming bike skills park will be high school mountain biking teams, Christopherson added. On top or providing a place to practice, it’s also fun. While he is more the type to take to the trails on his bike, Christopherson said, he has gone to bike skills park in Park City with a grandson and enjoyed it a great deal. It will also be great hangout spot for young people where they can be introduced to mountain biking at the same time, he said. “There’s so much potential here its unbelievable,” Marc Mortensen, support services director for St. George, said, showing St. George News the general area where the park will be built. Another advantage of the park is its location inside St. George, Mortensen said. It will tie into the city’s current 155 miles of paved and unpaved trails. There has been a demand for a bike skills park in St. George for many years and it has been identified as RAP tax funding priority; that is, revenue generated to the county and its municipalities through a recreation, arts and parks tax. RAP tax funds will account for $500,000 toward the bike skills park, with another $300,000 coming from the city budget, Peay said. Washington County will also be putting some funds toward the park, both Mortensen and Christopherson said. While in demand by locals, a bike skills park has also been wanted by visitors who have been surprised to learn there isn’t one in the area. Other cities in Utah that have bike skills park include Draper and Park City. The St. George bike skills park will be a mix of both those parks, Mortensen said. 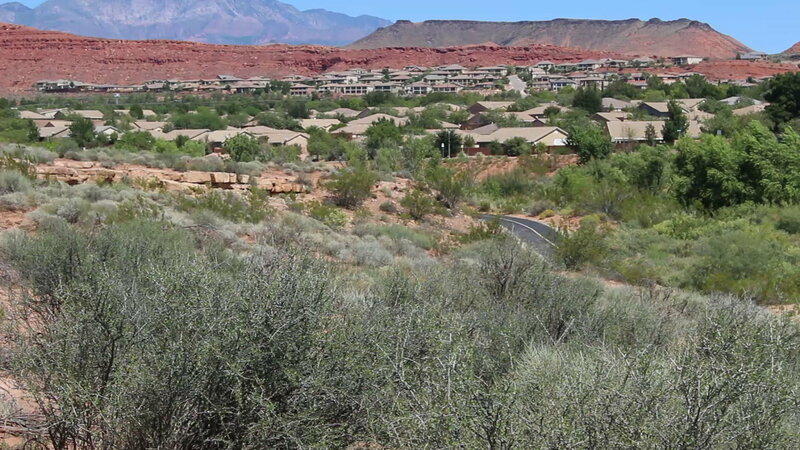 Unlike the bike parks in northern Utah, though, the one in St. George will be open year-round. Ed. note: The initial report placed the size of the bike skills park at 20 acres when it will actually cover 60 acres. Another nice project with tax dollars. Good location, at the edges of SG, and Santa Clara. No question, skills courses are a great training tool for up and coming riders, in a safer environment than Bearclaw Poppy, or Prospector, where helo evacuations have been required for crashed riders. As a Washington County resident, I have to challenge the incorrect assertion that we have become a mountain biking mecca….While there are a few okay single track trails, if you are willing to drive to them, we have nothing to compare the extensive network in and around Moab. Saint George has an exceptional paved trail system, supplemented with some decent bike lanes, for road biking, no question. Thanks to efforts by the DMBTA there are more options for mountain bikers locally, but let’s be realistic, a “mecca” we are not.